Calcium carbonate, Wheat feed, Brewers’ yeast, Maize, Mint, Ginger, Dicalcium phosphate, Dandelion leaves, Rapeseed oil, Whey protein powder, Fructo-oligosaccharides, Sodium chloride, Wheat protein, Elecampane, Licorice, Yeast product, Chicory inulin, Vegetable oil (palm, coconut), Whey powder, Magnesium oxide, Calcium stearate. Vitamin A 3a672a 103,000 I.U. Vitamin D3 E 671 17,200 I.U. Vitamin E 3a700 2,920 I.U. Feed daily to balance your horse’s haylage based diet and optimise gut function. 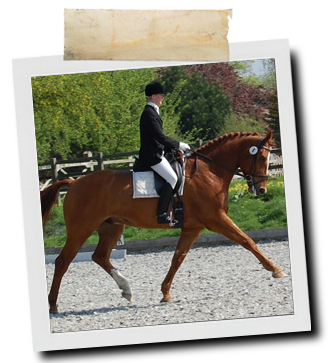 Holmehall Wizzkid (Wurzel) a 10 year old Welsh Section D gelding owned by Lucy Hepplewhite. Says Lucy "Haylage Balancer has supported Wurzel's digestive system for many years. Before I fed Haylage Balancer, I couldn't feed him any type of rich food (I.e. Haylage and sugar beet) but since I put him on this supplement, he happily eats Haylage without it upsetting his stomach." Will D'Beast a 17.3hh dressage horse. Within four days of being fed Haylage Balancer, Will is a changed horse! Before, his temperament could be a little 'difficult' and he was somewhat tricky to ride. 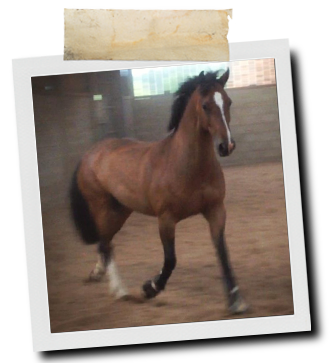 He was permanently unsettled and grumpy in his stable and his bed was constantly trashed! Will is turned out daily for about an hour, other than that he is stabled and fed haylage year round. Now he has his daily Haylage Balancer, Will is much happier and calmer in his box, with no unpleasant faces or attempts to bite anyone who comes too close to his door. Furthermore, his bed is neat and tidy every morning! Everyone who knows Will is totally amazed by his complete transformation!